Do you want to taste an excellent Italian pizza? You just have to go to Vadolì! You can also order your pizza and eat it at home. Vadoli was launched by two entrepreneurs and has gained immense popularity since its opening last year. 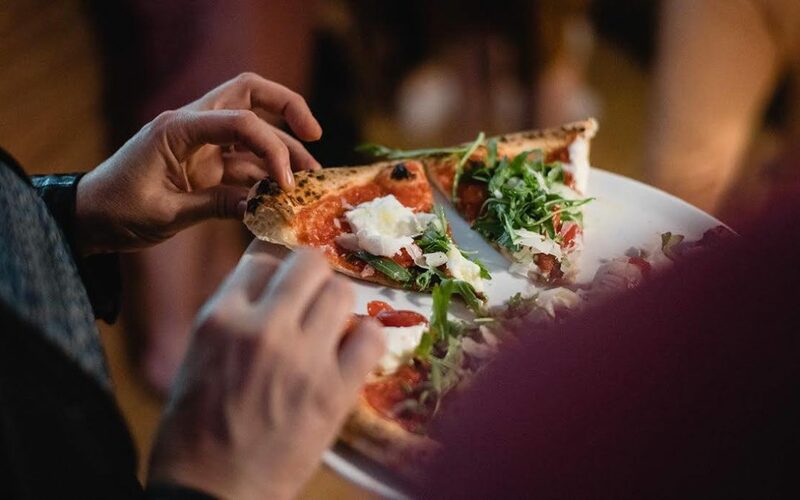 Propelled by a strong passion for good food, the founders’ plan was to set up a delivery company for authentic pizza in Berlin. In collaboration with internationally renowed food-chefs, Vadoli started developing recipes that are specifically suitable for the delivery channel. The founders vision proved to be successful. The company has registered more than 50.000 pizza and 10,000 salad orders to date. Corporate companies like Lufthansa, RTL, Porsche, Deloitte, WeWork und Philip Morris order frequently to their office for their company events and meetings. Also hotels started placing their bets on Vadoli’s delivery service and began partnering with the young company in the room-dining business domain, such as the InterContinental Hotel Group. The menu has both traditional and creative recipes, like the Signorina Margherita, the Bufala Heaven and theSalsiccia Prime. The variety of pizzas change every three months based on the saisonal availability of ingredients to ensure high quality and freshness. Creative recipes are studied and tested carefully by the founders themselves before they are lunched. The recipe of the dough, however, always remains authentic and the same. “Pizza is a wonderful dish that allows for creativity. We would like to develop unique dishes and offer them to our customers in an authentic format“, says co-founder Vincenzo Ferrera. The dough relaxes up to 72 hours at Vadoli and gets its unique aroma from the cold fermentation. Pizzas at Vadoli are priced between 5€ und 12€. Recommendation: Swordfish Vibes: a pizza with broccoli cream, high-quality Fior di Latte, sesame breaded swordfish, scamorza cheese, garlic paste, chili and dried tomatoes. An online delivery takes 27 minutes on average to arrive at the customer’s location. Thanks to the custom- made stone-oven with a rotating stone-plate and the delivery bags with an integrated induction technology system, online orders arrive quickly and fresh. All deliveries are tracked by a mobile delivery application to measure the speed at which the food arrives at the customers’ doorstep. Vadoli currently delivers only within Charlottenburg and Wilmersdorf, however has a flagship restaurant in Kantstrasse that is open to the public.